Read the updated version of the article. Are you afraid to speak in public? 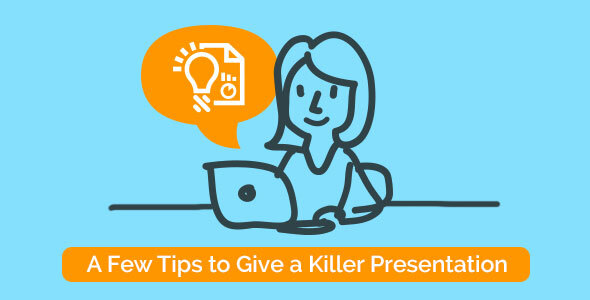 You don’t know how to make a perfect presentation? Do you consider it as your worse nightmare? No need to panic. We will share with you a few tricks that will make you forget about the fear of the presentations preparation and will teach you how to avoid common mistakes. First of all, concentrate on the structure of your presentation. This is a rather important step, thanks to this it will be much easier to hold the attention of your audience. No one is interesting to listen to a long ornate introduction or your unnecessary explanations that have nothing to do with the main theme. Let your listeners follow you easy. Today there are a lot of powerful tools available for the presentations creating. And it would be nice, if you could illustrate own speech. But be carefull! Remember, all visuals should supplement your presentation, not let people to think about the necessity of your presence. 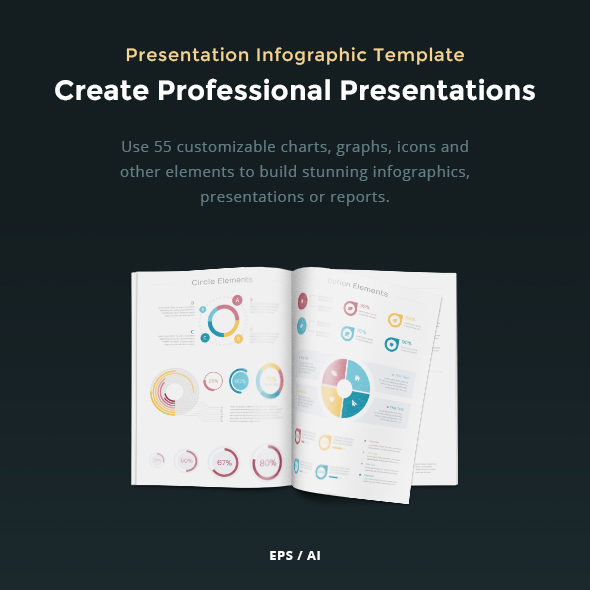 For example, you can use Presentation Infographic Template. It’s a vector pack which contains various types of elements such as graphs, icons, diagrams, etc. It allows to create an awesome infographics, presentations, reports or advertisement without diverting attention from your person. It is no secret that no one wants to listen to a long monotonous speech. Or a bore. Or a nervous bore. To avoid this, let your listeners feel your energy. Of course, there is no need to swot your report word for word but it would be great if you are thoroughly prepare for it. Always rehearse your speech in front of a mirror. Make sure that there is no excessive gesticulation or constant mumbling. And of course, don’t forget to smile. You’ll see how it will be hard for audiences to resist you. That’s all. Simple, isn’t it? We hope that our small advices were useful. Remember that the more presentations you make, the more confident you will be and the easier they will become.